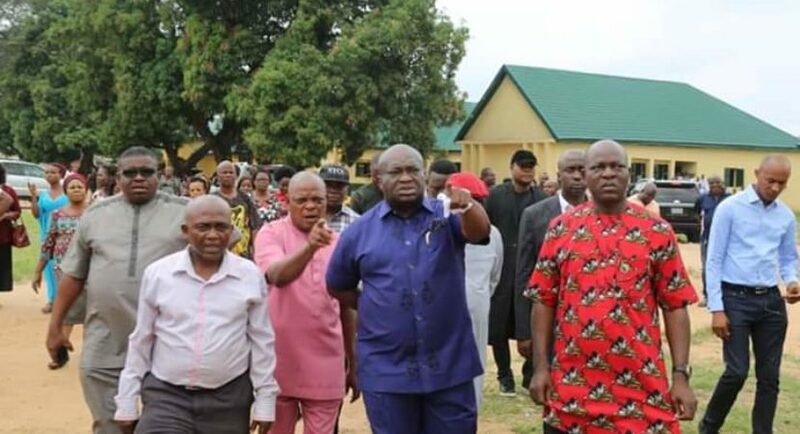 The Governor of Abia State who just won his reelection bid on the platform of the Peoples Democratic Party, PDP, Dr. Okezie Victor Ikpeazu today visited Abayi Secondary & Primary School and Osusu Amaukwa Secondary and Primary School all in Aba, Abia State. 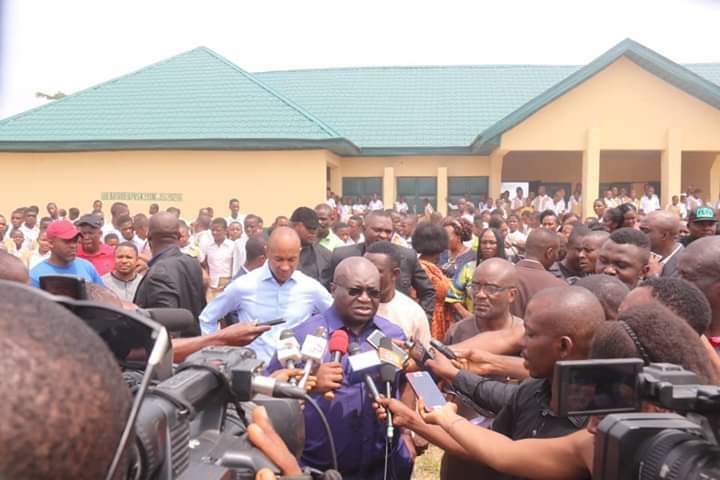 During the visit, the Governor Promised to build 13 new model schools in addition to the existing 4 in the school. 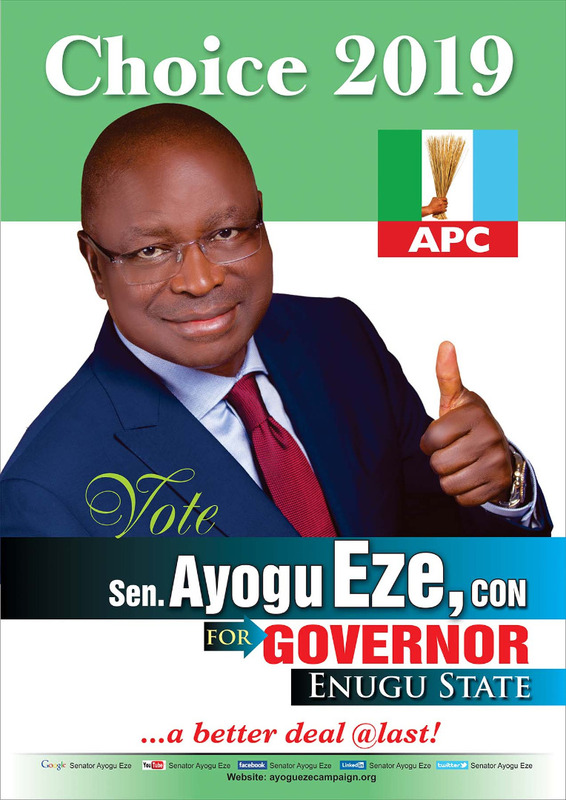 He also directed ASUBEB to construct 300 new classroom blocks in addition to the 359 done in his first term. 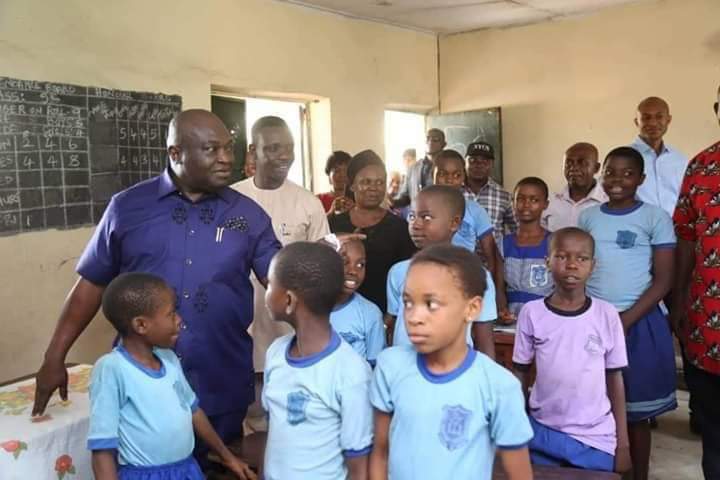 The Governor who couldn’t hide his joy seeing the primary school children vowed to continue the school feeding program and explore possibility of extending it to junior secondary schools in the state. 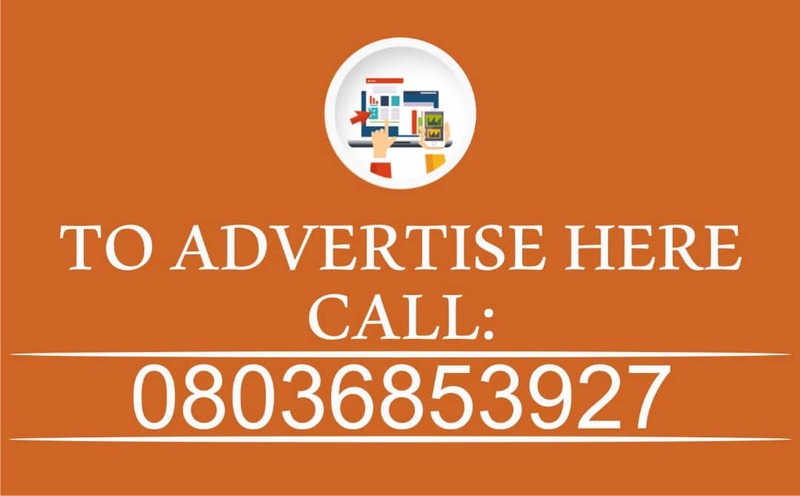 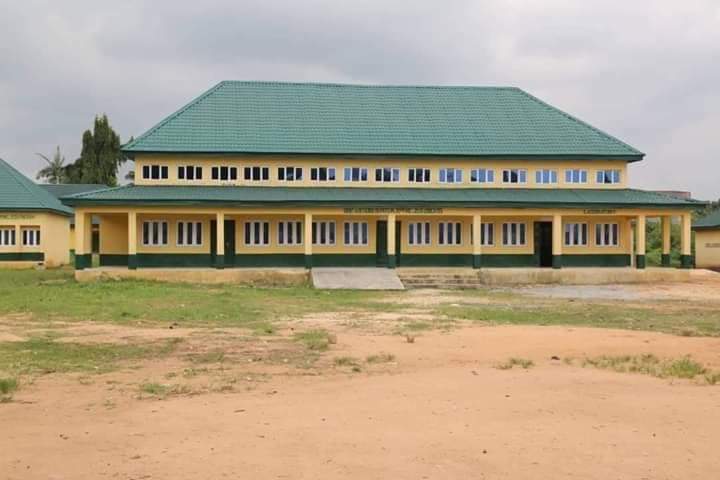 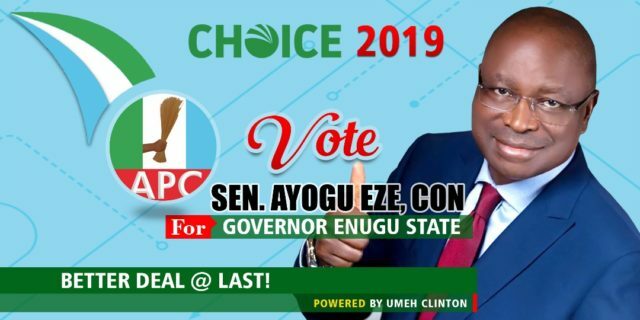 In line with the resolve of his administration to ensure quality and affordable education in the state, he directed private school proprietors to ensure that school buildings are constructed with sporting facilities and mirror existing public model schools in the state. 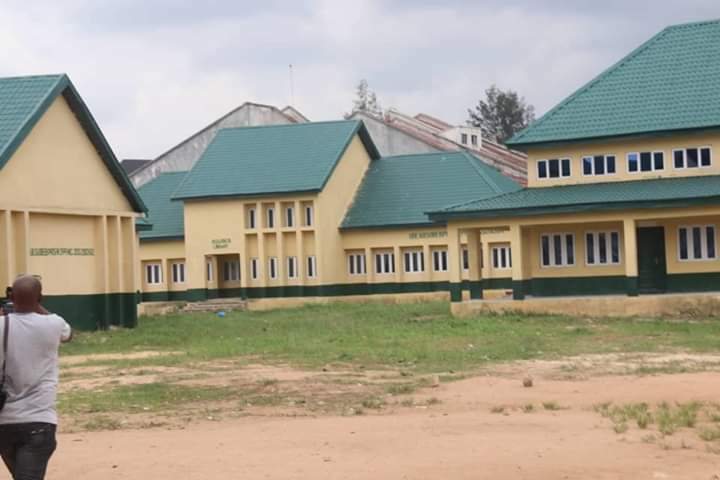 The Governor also directed the State’s Ministry of Education to collaborate with Ministries of Science, Land/Planning to ensure that all school buildings in the state have strong foundations and are safe for school children. 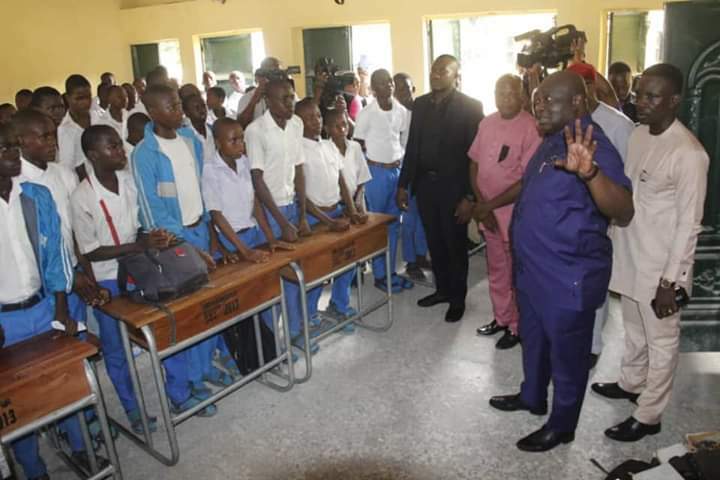 During the visit, the governor assured the pupils of maximum security as he has directed security agencies to ensure the protection of all public schools in order to avoid miscreants using the facilities as hideouts and places for their nefarious activities. 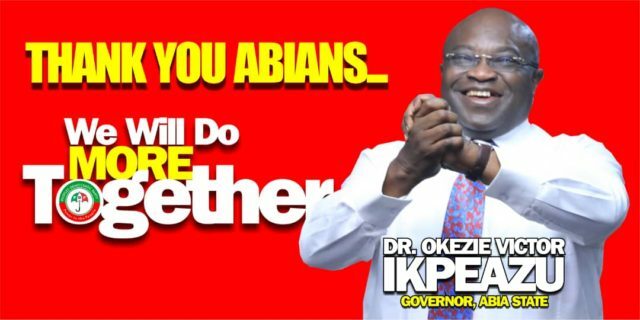 Speaking on the welfare of the teachers, Dr. Ikpeazu assured the teachers of the determination of his administration to sustain the continuous training and improved welfare for teachers within the public school system. 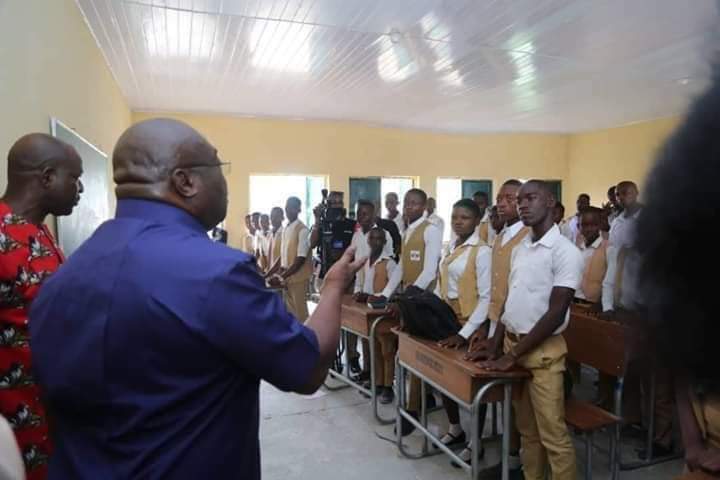 The governor used the opportunity of the visit to unfold the readiness of his administration to launch compulsory IT based learning system in all primary and secondary schools in the state and expresses desire to ensure that Abia continues to lead in Nigeria, especially in STEM education.